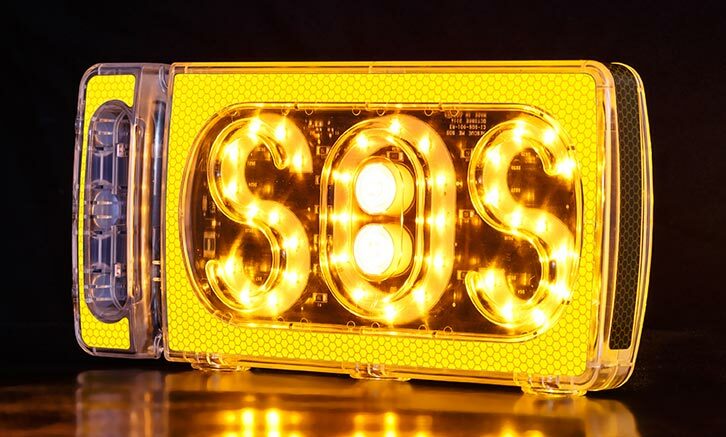 RESCUE ME SOS™ is a unique and revolutionary flashing LED SOS visual distress safety device created to keep you as visible – and safe – as possible in a roadside emergency situation. Light and extremely portable, it can be used in any vehicle equipped with a 12V power outlet. Simply plug the connector into the 12V power outlet and it immediately flashes a 2-way visual SOS signal visible up to 13.7KM (8.5 miles) away in each direction. Heavy duty magnets and an ultra-durable polycarbonate case ensure that the unit stays in place and functioning, even under the most unforgiving conditions. The RESCUE ME SOS™ portable device has been engineered with exceptionally bright LED lights that have been tested to last up to 50,000 hours. That’s longer than any standard flare and more effective than headlights or hazard lights+ while consuming much less power. No matter where you go – city streets, back lanes, highways or small country roads – no matter what you drive – a car, SUV, trailer, motorcycle, truck, snowmobile, etc. – no driver should ever be without a RESCUE ME SOS™ in their vehicle. You don’t plan on being in an accident or in an emergency roadside situation. But if you are, make sure you’re as visible as possible, so you can stay as safe as possible. RESCUE ME SOS™ – STAY SAFE. BE VISIBLE. For larger quantities, kindly call 1-888-557-5507. EASY TO SET UP AND USE – simply plug RESCUE ME SOS™ into your vehicle’s 12V power outlet and place it on your vehicle. It’s that easy. IDEAL FOR ANY VEHICLE – automobiles, SUVs, ATVs, trucks, motorcycles, boats, snowmobiles, etc.